At Tradesmen International, we understand the importance of always having the right skill level on every project and at every jobsite. As a premier skilled workforce recruiter, Tradesmen International has earned a reputation for helping North Dakota construction contractors and industrial companies find dependable, safety-minded, skilled craftsmen to supplement their core teams. More than just filling your immediate skilled workforce needs, our goal is to ensure you receive the ongoing staffing support and productivity consulting needed to keep your business moving forward. Our staff of skilled workers must pass a rigorous interview process, including hands-on skills testing. They are also provided OSHA 10-hour safety training and undergo regular client satisfaction evaluations. You can be sure you are getting only the highest quality craftsmen from Tradesmen International. Tradesmen’s Williston, ND and Provo, UT offices teamed up to supply journeymen and apprentice-level industrial electricians to work on the expansion of the Lonesome Creek Gas Plant, a natural gas-based peaking station that serves the increasing demand for electricity in northwest North Dakota. 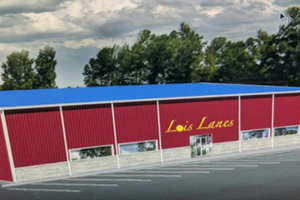 Tradesmen is supplying skilled craftsmen—including electricians, plumbers, concrete workers and general labors—to work on the new Lois Lanes Family Fun Center in Watford City, which will house 24 bowling lanes, trampoline park, concessions center and arcade. The facility is scheduled to open in mid-November. Tradesmen supplied a local contractor with skilled heavy equipment operators to help with the construction of the new Willison Fire Department Fire House. 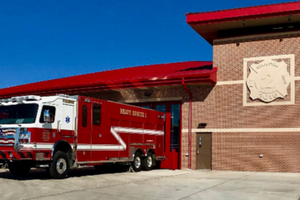 The Williston Fire Department provides fire and advanced life support emergency medical services to the city of Williston, ND, as well as advanced life support to the surrounding area. 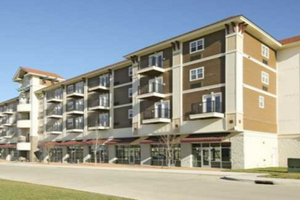 Tradesmen supplied skilled craftsmen to work on Bakken Village, a 46,000 square-foot building at the center of The Crossings at Watford City offering live/work, retail and office architecture, with 32 townhome-style apartments on the upper floors and offices, shops and restaurants on the main floor. 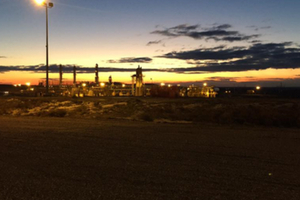 From power plants and wind farms to construction sites and shop floors, our productivity and staffing consultants work hard to ensure everyone we send to the jobsite is reliable, skilled and safety-minded. Because all of our craftsmen are permanent Tradesmen employees, you can rest assured knowing that you will receive the same level of quality you would expect from your permanent workforce. With local staffing offices strategically located across North Dakota, including Williston and Fargo, we can have a skilled craftsmen on site in as little as 24-48 hours. Fill out the form on the page for more information about our skilled labor staffing solutions in North Dakota. Find skilled craftsmen in Willison.